We found a hot razor deal for you on Amazon! Hurry and get the Schick Quattro Titanium Razor for Men Value Pack with 1 Razor and 3 Razor Blade Refills today for $16.99 as low as $7.64 from Amazon when you choose Subscribe & Save with at least 5 subscriptions in one month. Check out all of the recent Amazon deals here! There is no commitment with Subscribe & Save. You can cancel at any time! Plus, get free shipping!! Details here! Save up to 15% on reorders when you subscribe to 5 or more subscriptions in one month. Prefer one-time purchase? Pay $8.99. Get FREE shipping (2-day for Amazon Prime members) when you purchase $25 or more of eligible items across any product category. 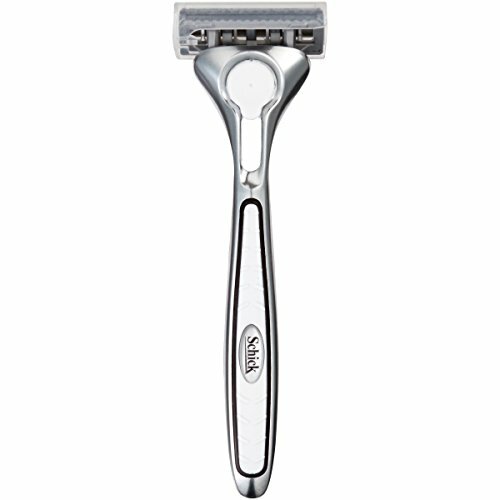 The Schick Quattro Titanium – a durable razor with 4 titanium-coated blades that stay sharp to reduce irritation. An edging blade provides extra precision in hard-to-reach spaces, and an ergonomically designed handle gives added control. Buy the Schick Quattro Titanium Razor for Men Value Pack with 1 Razor and 3 Razor Blade Refills from Amazon. Previous article*HURRY* Dentyne Pure Sugar-Free Gum (Pack of 10) Stock Up Deal!